Are you serious - and we mean serious - about being the first through the freshies? In that case, check out the Volcom Shelter 3D Stretch Insulated Snowboard Jacket, ideal for resort riding but feature-rich enough to serve you well off-piste, too. With a 15K waterproofing rating, it can keep you dry in almost every type of conditions, even when you're hiking through the snow rather than taking a lift. The Shelter 3D Stretch Insulated Jacket has 80g of insulation, which is enough to keep you warm in single-digit temps. And if you start to overheat on the uphill, just unzip the arm vents to quickly cool down before you ride down. 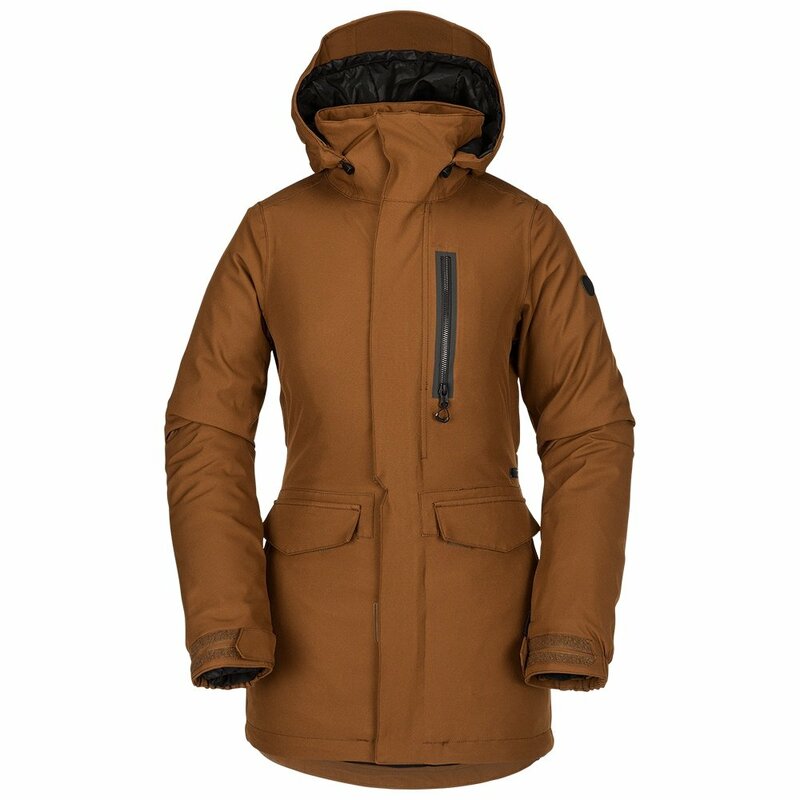 This feature-heavy ski jacket includes accessory pockets, hem and cinch adjustments, a chin guard, vents, and more. The two-layer waterproof fabric can withstand all but the most extreme of extended storms. 80g of insulation is enough to keep you warm at resorts without overheating on backcountry hikes.